Do you love to journal? According to Post-it notes in one of their commercials writing things down increases your chances of accomplishment by 42%. 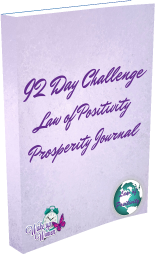 Now imagine if there was a way to increase your dreams goals and desires by 42%, just by writing them down, and increasing your conscious thoughts into the field of positivity. What is it that you desire? Maybe your dream job, a new car, college tuition.